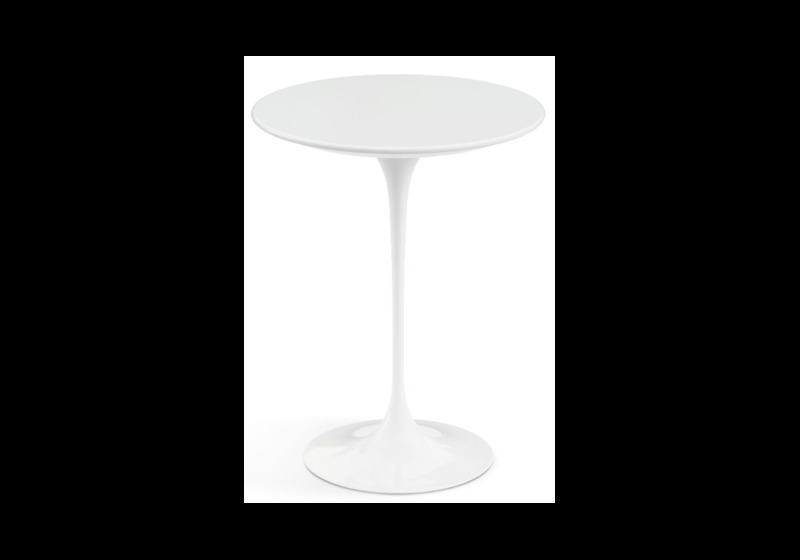 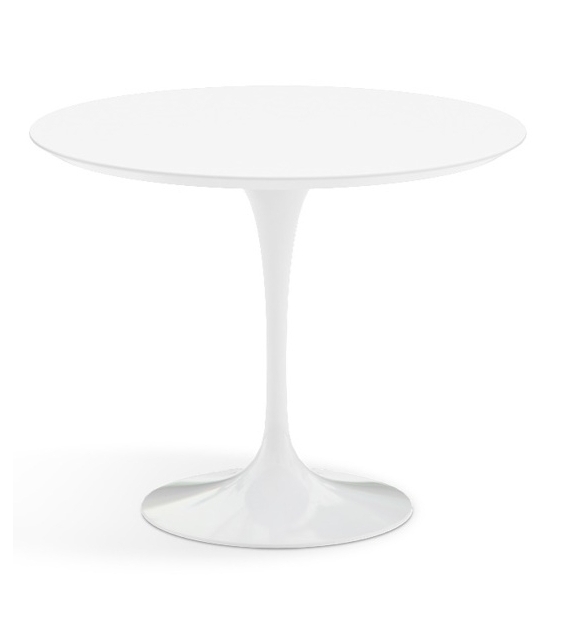 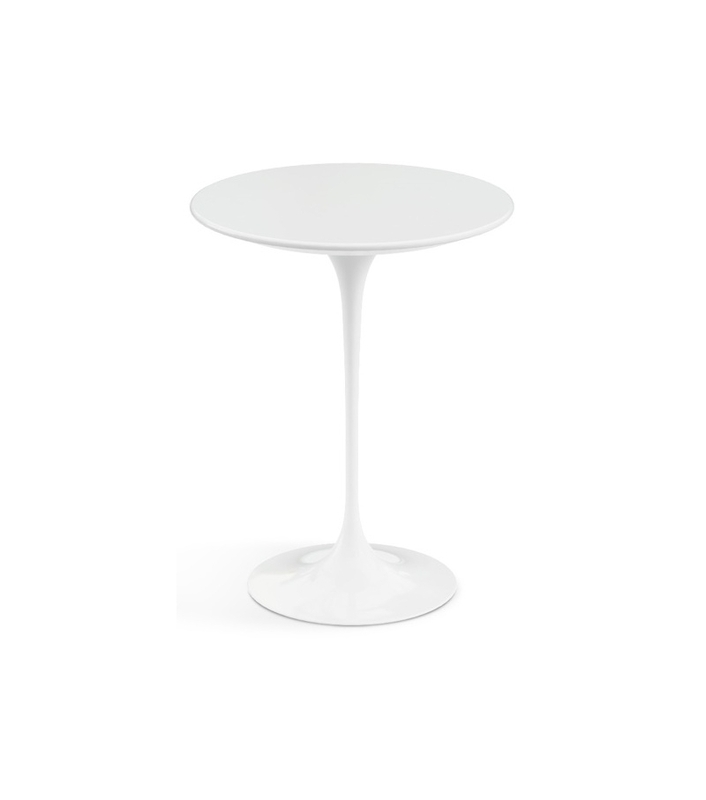 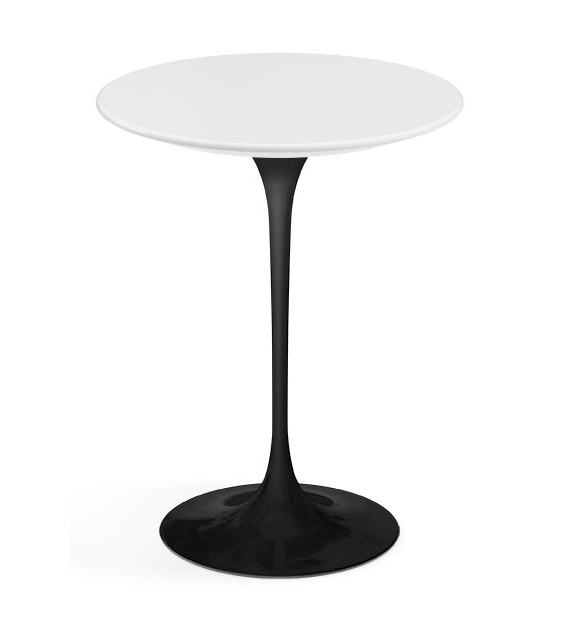 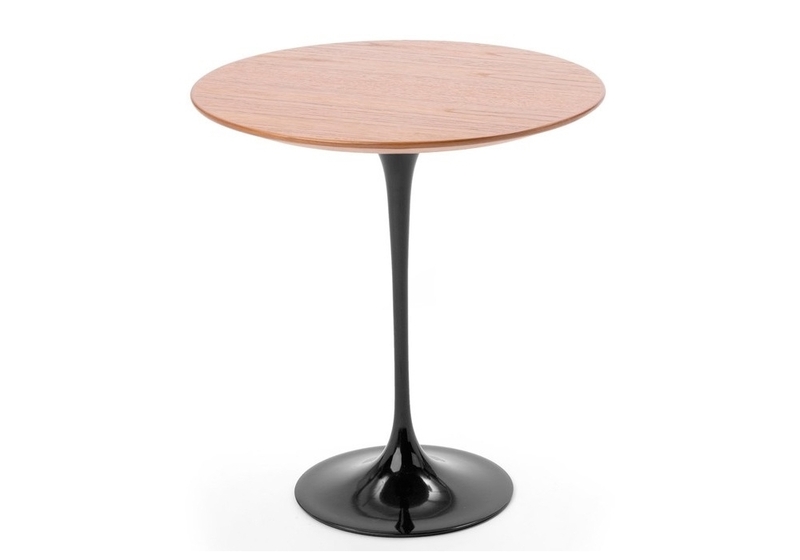 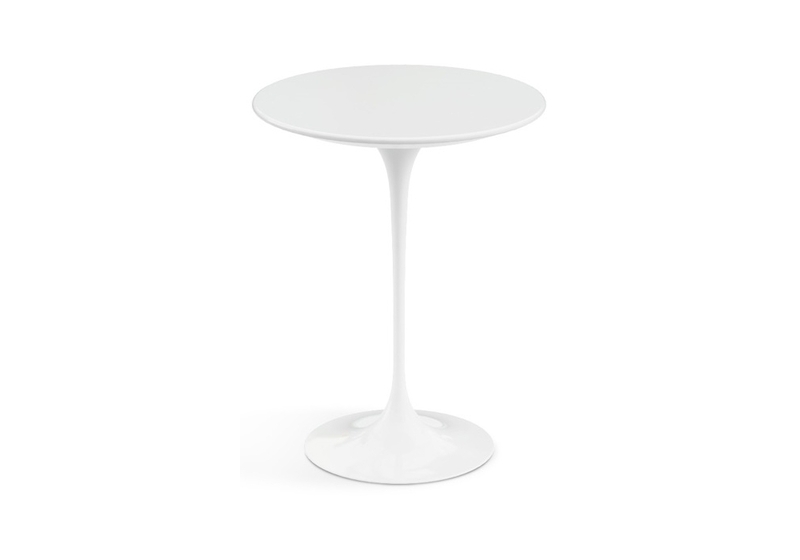 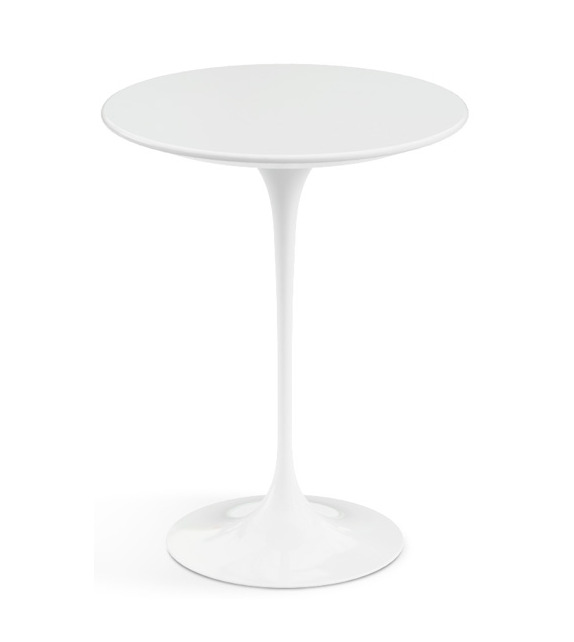 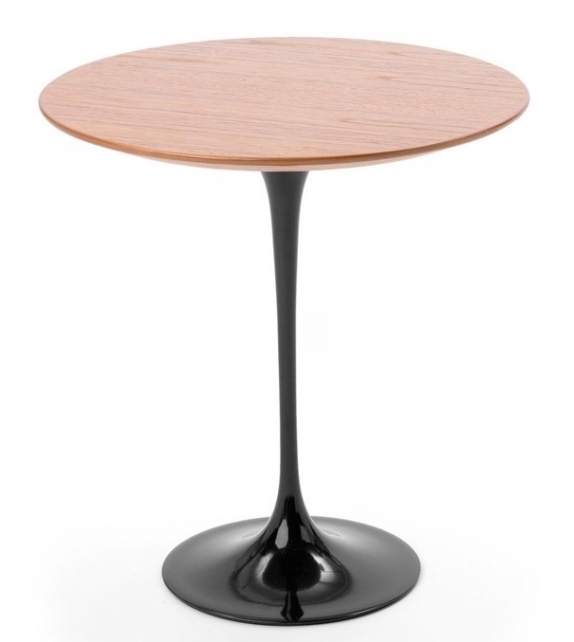 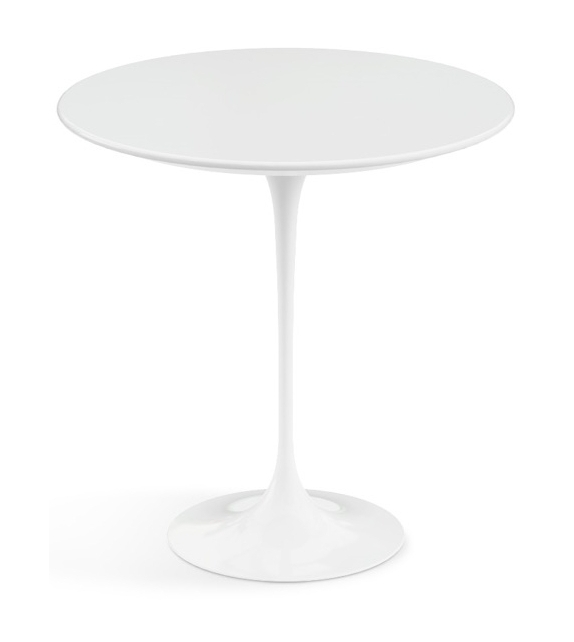 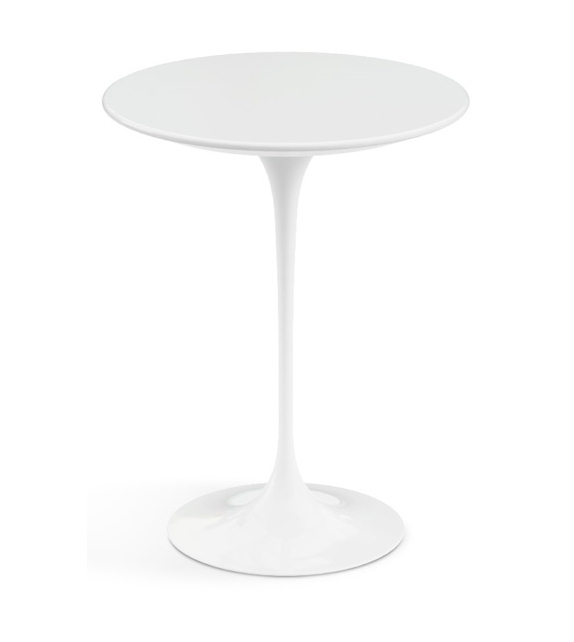 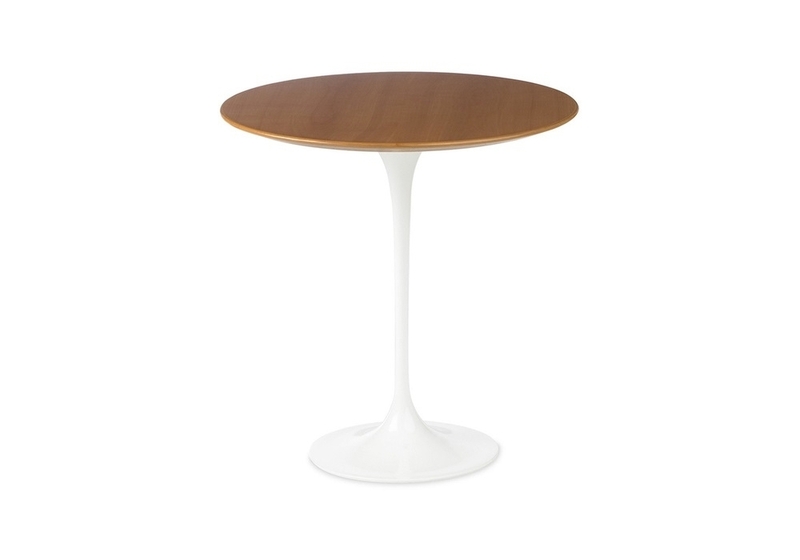 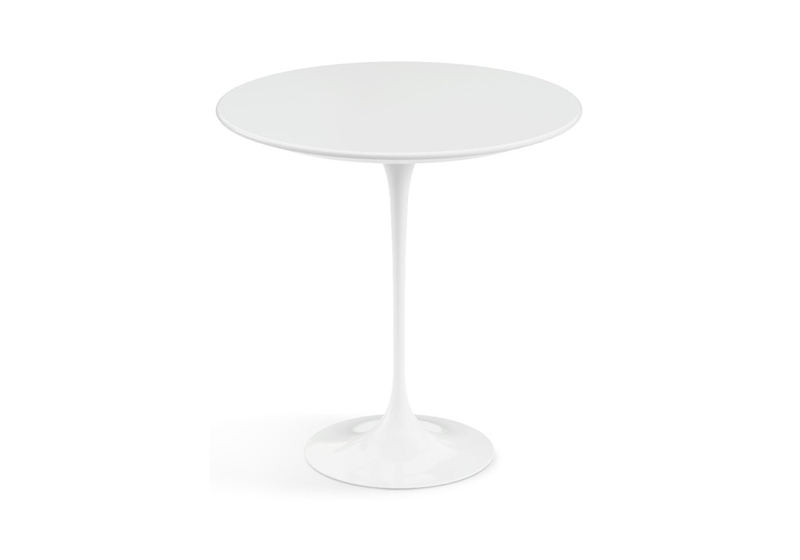 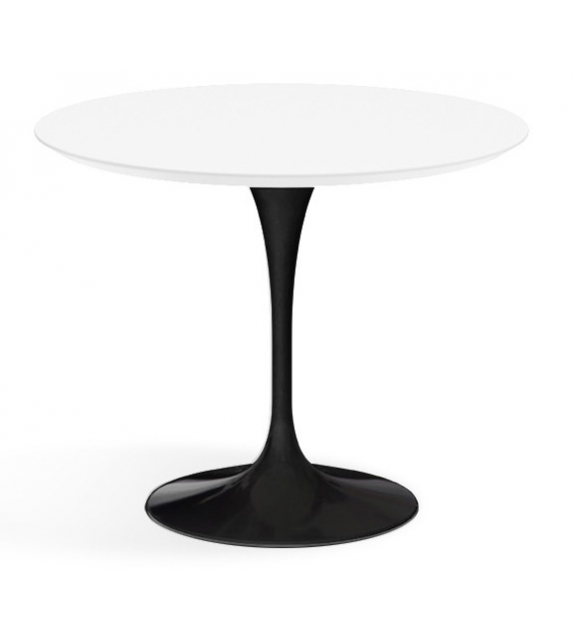 Knoll, Saarinen coffee table: Eero Saarinen's pedestal collection includes dining, coffee and side tables. 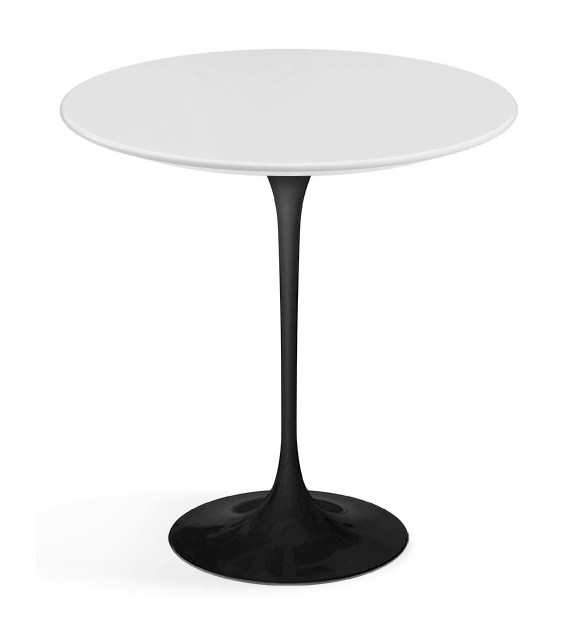 The Knoll logo is located on the underside of the base. 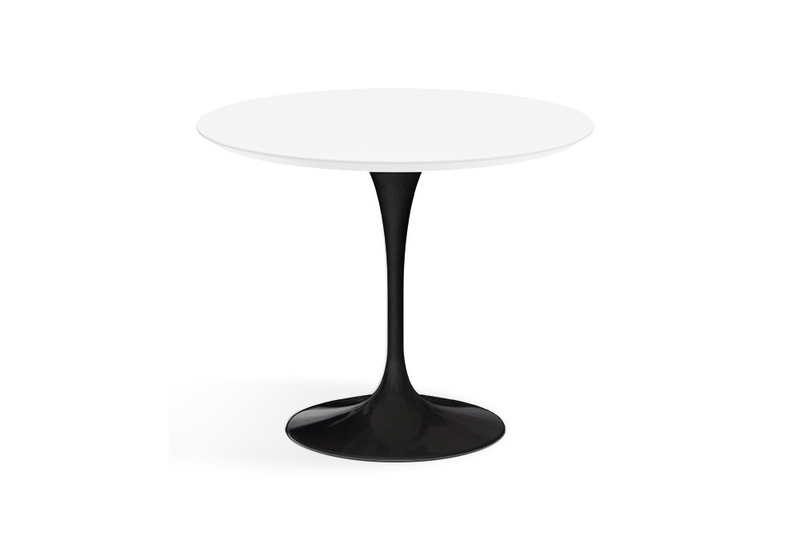 Knoll, Saarinen coffee table: Eero Saarinen's pedestal collection includes dining, coffee and side tables. The Knoll logo is located on the underside of the base. 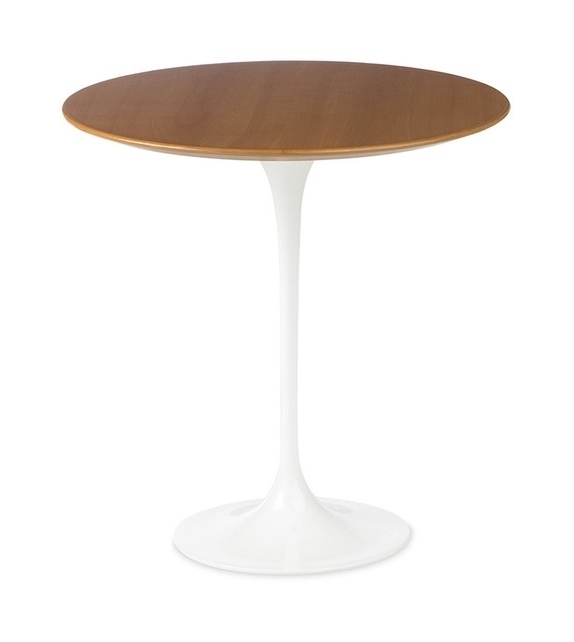 A nameplate with the KnollStudio logo and the signature of Eero Saarinen is also located on the underside of the top or on the top support plate. 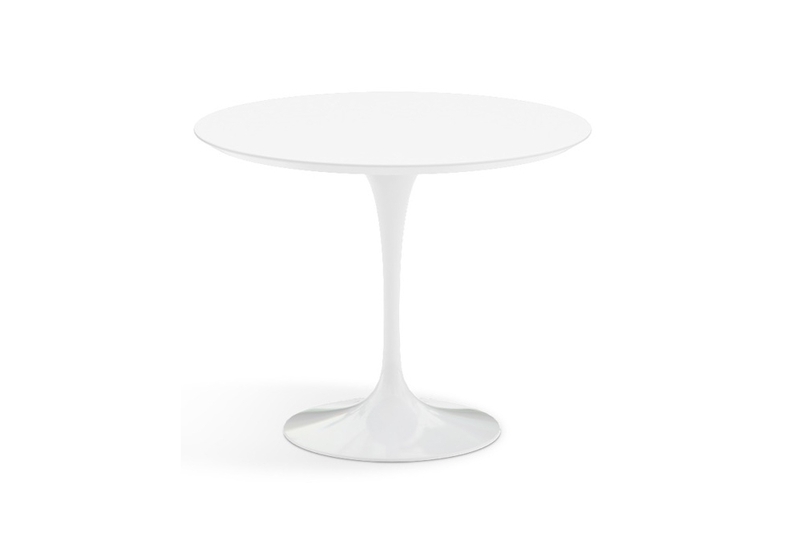 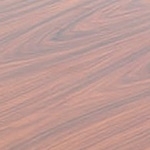 Tops are available in white carra marble,varnished white or wood. 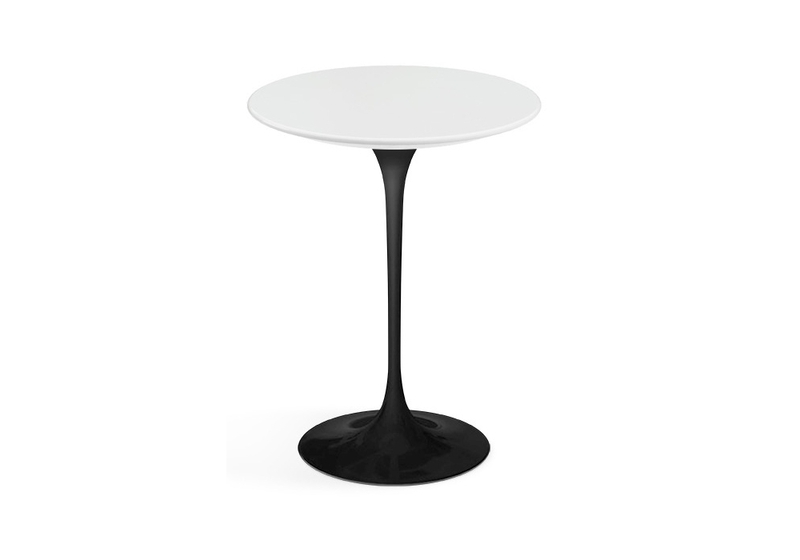 Base is constructed from moulded cast aluminium, in white or black, which is protected with Rilsan.